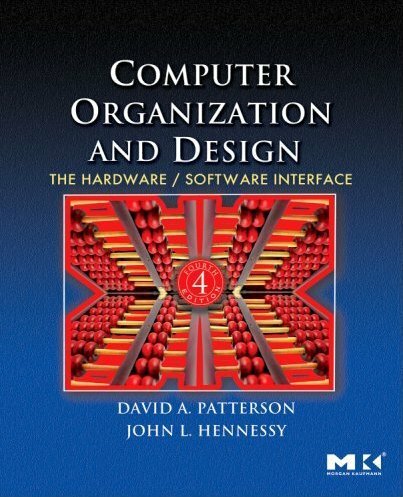 CS3410 provides an introduction to computer organization, systems programming and the hardware/software interface. Topics include instruction sets, computer arithmetic, datapath design, data formats, addressing modes, memory hierarchies including caches and virtual memory, I/O devices, bus-based I/O systems, and multicore architectures. Students learn assembly language programming and design a pipelined RISC processor. The course is open to any undergraduate who has mastered the material in CS 2110. New Office Hours for finals week are posted. Please also check the FAQ for several important updates. Prelims are now in the homework handback room, Upson 360. New Office Hours for this week are posted, including a make-up section Monday, 3:30 - 4:30 for the few students that missed section last week. Location will be: Upson 315. Final project FAQ posted, and CSUG files updated. Nandakumar's office hours are cancelled tomorrow, Friday May 7. KWalsh will hold an extra hour, from 2 to 4pm, in Upson 4114. A revised schedule for the next two weeks will be posted shortly.
. Demo Sign-up sheet is outside Upson 4114.
kwalsh will hold extra office hours Monday, April 26, 3:30 - 4:30pm. Optional assignment 2 solutions posted to CMS (but not graded yet). Prelim solutions posted to CMS; P3 FAQ updated. P3 FAQ posted and handout updated in CMS. HW3 and an optional assignment are posted to CMS. Prelim solutions posted to CMS. Couse survey posted. Please give us feedback. See this README to get started with mipsel-linux-gcc. P2 extension granted: everything is due W Mar 31. P2 FAQ updated yet again; check back often for more. P1 comments being posted; try our test program for yourself. Logisim and cs3410.jar files both updated (see P2 FAQ for details). P2 is posted to CMS. FAQ posted. Logisim library updated. P1 is posted to CMS. Logisim library here. HW2 is posted to CMS. Consulting / office hours begin today. The first homework is available on CMS. CSUGLab accounts have been created (go here to change your password). Lab door access, MSDNAA, and Net-Print will be activated shortly. Office hours will be held by kwalsh, in Upson 4114, this Friday 12:30 - 2:30 and Monday 12:30 - 2:30, during which time one or more machines may be deconstructed. Lecture has been moved to Phillips 203. Sections times have been chosen (see below left). Due to scheduling changes for cs3410, pre-enrollment will be invalidated: students must re-enroll during the January add/drop period.